Hormones affect us every second of our lives. Our emotional and physical health is dictated by how these hormones interact with the cells in our bodies and our brain. Neuroscience has been able to show us the exact ways in which hormones impact us and the processes behind them. 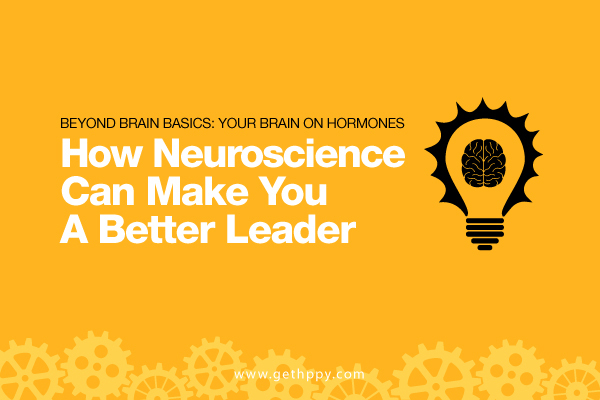 In the business sense, hormones and neuroscience can advise you on how to be a better leader. Most people think of effective business leaders as confident, resilient, strong, caring, and capable. Those aspects, which many people think of as innate qualities or aspects of personality, may be explained by hormones. Social neuroendocrinology is a field of study in neuroscience, focused on how hormones impact social behaviors. Research done in this field has shown that there might be an optimal mix of hormone levels that can prime someone for great leadership. The two keys hormones? Cortisol and testosterone. Often called the stress hormone, cortisol is produced by the adrenal glands in response to stress or low blood sugar. Once released, it leads to higher blood sugar, suppressed immune system, changes in memory formation, and disrupted sleep. Cortisol is crucial to our survival as it helps us respond to stressors and threats. But too much cortisol can lead to mental health problems such as depression, anxiety, but also heart disease, and problems related to all the major body systems. Both men and women produce testosterone, although women produce it a much lower amounts. While it is often associated with male development and functioning, it has many uses in the body. Testosterone has been shown to have effects on aggression, dominance, confidence, competition, concentration, mood, sleep, and energy. In a 2016 study published in The Journal of Personality and Social Psychology, researchers investigated the hormone levels of executives. What they found was that the executives with the most responsibility as leaders had the highest levels of testosterone. But, those executives also had low levels of cortisol. As levels of cortisol increased, the level of leadership decreased. So, while all executives with more responsibility had higher testosterone, the leaders who were able to manage their stress levels, lowering their cortisol, were the ones with the most responsibility. This effect is true regardless of gender. In a similar study by the same principal investigator, leaders were tested for their levels of empathic accuracy. This skill allows people to accurately guess the emotional states of others. Researchers discovered that leaders with more responsibility often had lower empathic accuracy; they found it difficult to determine the emotions of others. Those leaders were also more accepting of unequal power between groups. Looking at the research, it seems there is an ideal level of hormones which influences the ability to be a great leader: high testosterone and low cortisol. The two hormones create a delicate balance. When testosterone is too low, people can be perceived as weak or lacking in confidence. Too high and they lose the empathy skills for creating collaborative and productive teams. Low Testosterone/ Low Cortisol – This type of person may not exude strength and confidence but will probably appear calm and relaxed. Too little cortisol and they might not respond to stress quickly and strongly enough to cope with it effectively. High Testosterone/ Low Cortisol – This type, the most effective leaders in the study, are able to exhibit confidence and strength, while also being able to act quickly and successfully under pressure. Low Testosterone/ High Cortisol – This type of person does not seem to be confident but is probably overstressed and anxious. High Testosterone/ High Cortisol – This type of person may be in a leadership position, but may also have a difficult time handling stress. They may seem pressured, scattered, or maybe a but aggressive when dealing with stress. These behavior types may be familiar to you based on yourself or leaders or coworkers you know. It is important to think about how we may fall into these states across our lives, as hormones can affect our behavior, but our behavior can also affect our hormones. In other words, your hormone profile can be changed. These profiles are not constant and do not make or break you as a leader. Mindfulness is a buzzword lately, but learning to focus on the present and letting worries and stresses go can decrease cortisol and make us more relaxed. Having a more plant-based diet, full of whole foods, can improve testosterone and lower cortisol levels naturally. Add more cruciferous vegetables, garlic, and nuts to the diet, while eliminating processed sugar and alcohol. This is a good start to balancing hormone levels. Exercise for about 30 minutes a day. This will reduce cortisol levels and overall feelings of stress. There is a pose, often referred to as the superhero pose, that has been shown to increase testosterone and decrease cortisol. The pose requires people to stand like a superhero: standing tall, feet apart, hands on the hips, chest out. People who are skilled in emotional intelligence and people skills are better able to collaborate and communicate with others. The support of others and the hormones released when feeling part of a group can help us handle stress and decrease cortisol levels. Everyone deals with stress one way or another, but it seems that the way we think about it and the way we talk about it make a difference. If we are looking at a big task, we can say that it is overwhelming, or we can reframe it and call it a challenge. By changing the language we use to describe the situation, we can actually change how our bodies respond to it. Looking to be a more effective leader? Try out some of the suggestions above so that you can control your hormones and your potential, instead of your hormones controlling you.